The day finally arrived friends. My hubby hit the big 3-0 this month. I was pumped. Partly because I love birthdays in general. But mainly because, well, he can’t make fun of me from his 20’s anymore. The playing field has been leveled. Anyways, apologizes for the lack of posting. For birthday celebration, we rented some cabins at a nearby state park and headed there with some friends for the weekend – so I was busy planning, cooking and packing to gear up for our big adventure in the woods! It was awesome. The kitchen was certainly a challenge. No dishwasher. I made it – but I can’t say the same for my manicure. Then last weekend was spent playing catch up on another bathroom renovation plus Easter festivities! So, now I’m back…with a delicious recipe. 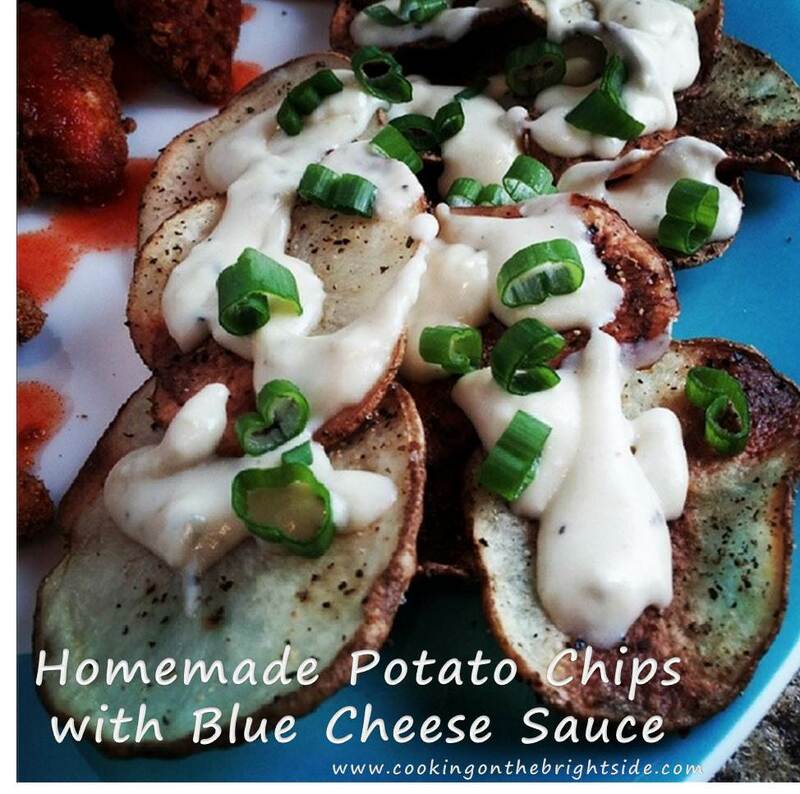 Well, I figured I’d attempt them myself and y’all – these are seriously yummy and easy! 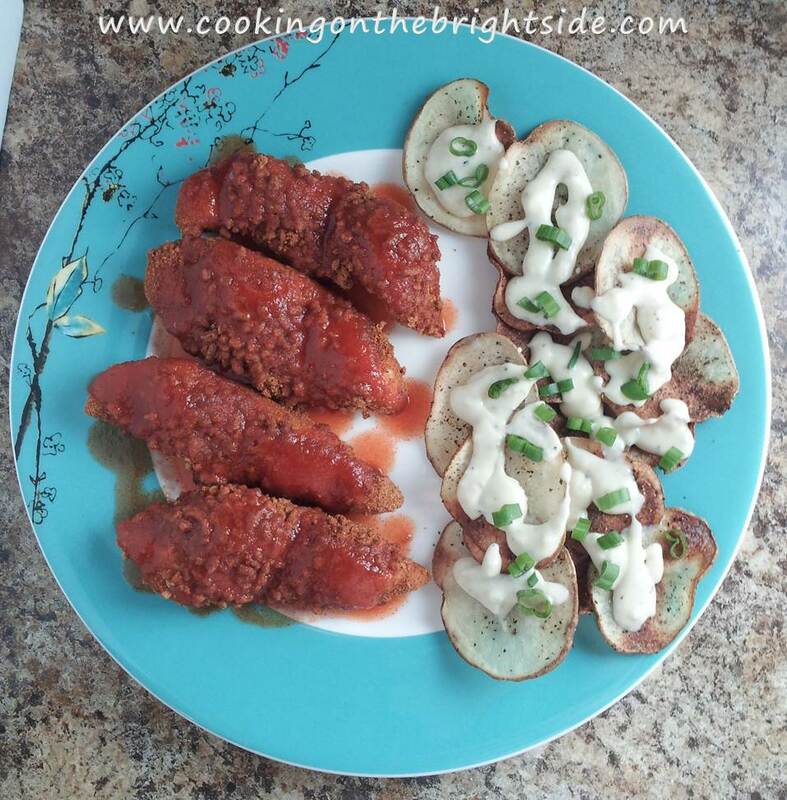 They went great with my buffa-faux chicken tenders too. Duh. With some very thrilling NBA playoff games going on, this could be the perfect addition to your dinner table! GO GRIZZLIES! Slice potato into very thin slices, not quite transparent – you can always use a mandolin, but I just rocked it by hand. Spray a baking sheet with nonstick spray, add slices and sprinkle with salt and pepper. Bake for 10-12 minutes on a low rack, then move to upper rack and bake another 10 minutes. While potatoes are baking, pour milk in a small saucepan. Bring heat to medium-low and whisk in flour. Then whisk in blue cheese crumbles until melted. Add salt and pepper to taste. 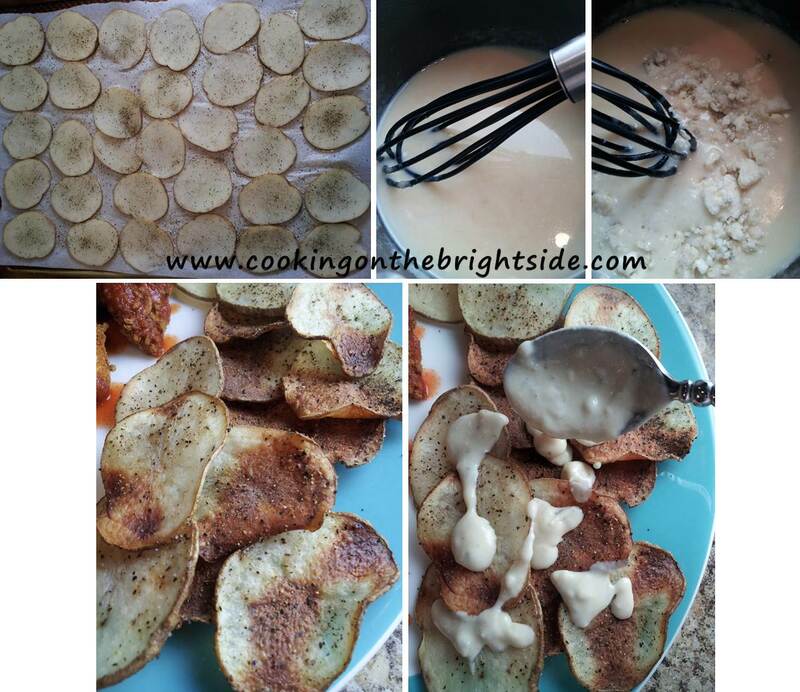 Once your potatoes are crisp, remove from oven and add to plate. 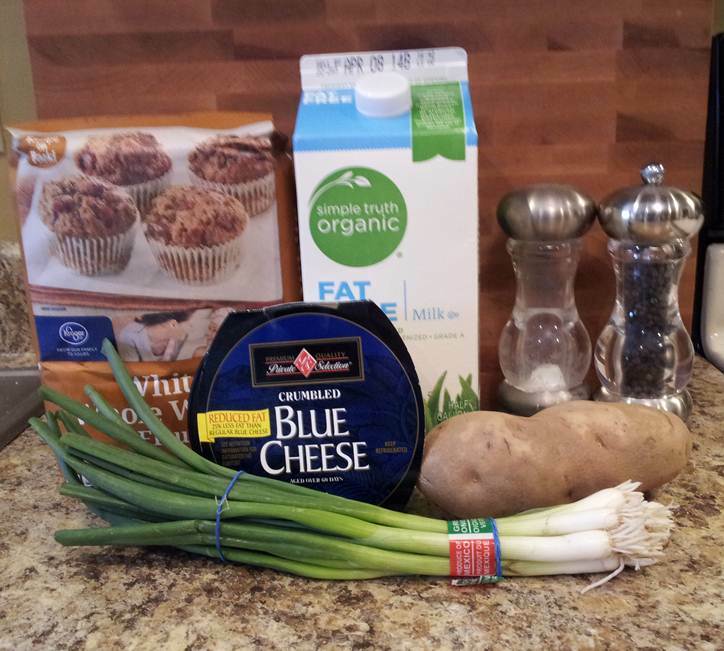 Pour blue cheese sauce over top and sprinkle with sliced green onions.